Can tell renovation work is happening inside, but haven’t heard much of anything since May. No doubt, a big project. Some openings recently showed up on the west side of the building. First time seeing lights on in the upper part of the tower at night. 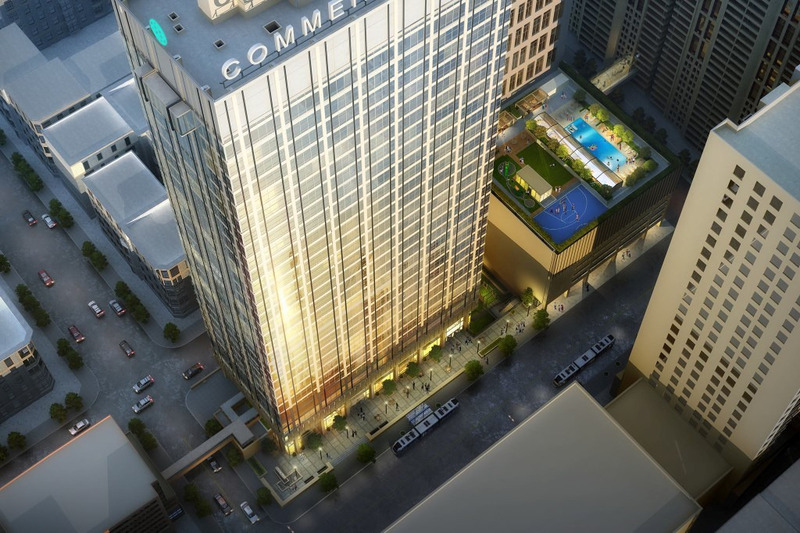 The developer and contractor working on the $139 million renovation of Commerce Tower aren’t shy about tying the project to Kansas City’s new streetcar line. 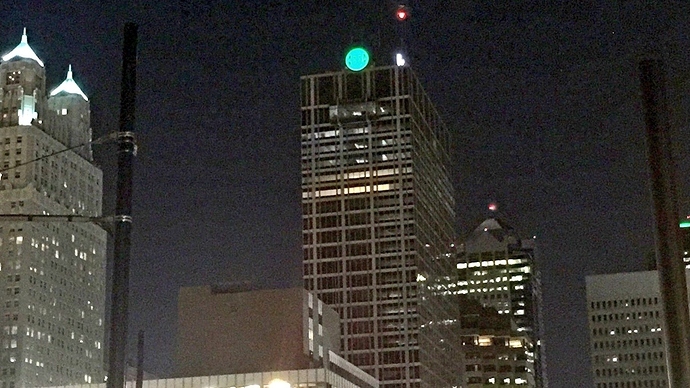 Commerce Tower Group LLC and Minneapolis-based general contractor Ryan Companies US Inc. will transform the 31-story downtown office tower into 52,000 square feet of educational space for Spectrum Station Early Learning Center and Park University, 32,000 square feet of executive space, and 355 apartments on floors seven through 30. Dignitaries attending a Monday launch event will arrive via the streetcar, which will open to public ridership four days later. Located on the new line, Commerce Tower is “the first transit-oriented development designed specifically to interact with the new streetcar system,” the developers said in a media alert. Tom Gerend, CEO of the Kansas City Streetcar Authority, is among those scheduled to speak during the Monday event. Others include Mayor Sly James, City Manager Troy Schulte, Michael Knight and Bob Berkebile of Commerce Tower Group LLC, and a representative of the U.S. Department of Housing and Urban Development. Commerce Tower will be the first redevelopment project to be completed as part of HUD’s Green Initiative. 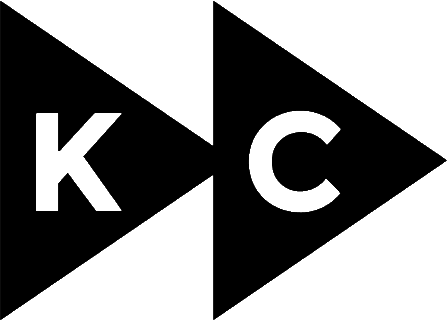 In addition, its developers were the first owners of a large commercial building to volunteer for energy and water use reporting under the Kansas City Energy Empowerment Ordinance adopted last year. Starting next year, owners of all buildings over 100,000 square feet in the city will be required to annually benchmark and report the buildings’ energy use via the U.S. Environmental Protection Agency’s Energy Star Portfolio Manager tool. The benchmarking data will be made available starting in 2018. 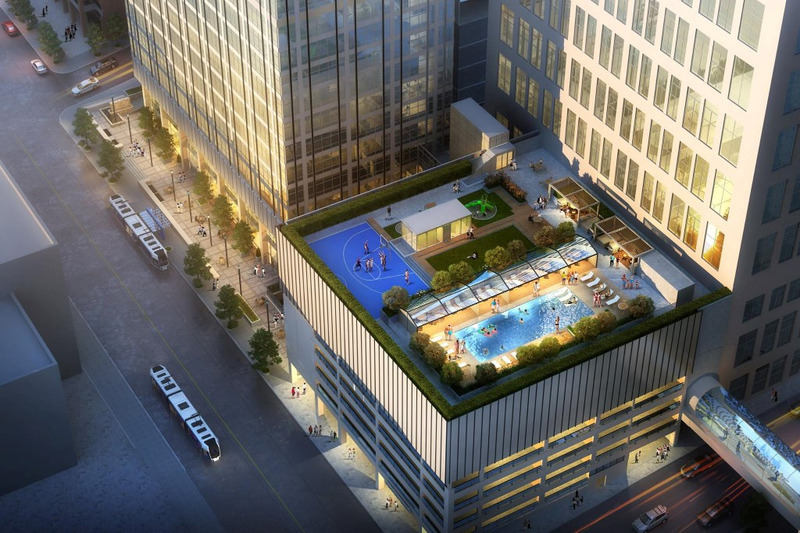 Commerce Tower, which will be redeveloped to LEED Silver energy-efficiency standards, will offer tenants a variety of amenities. 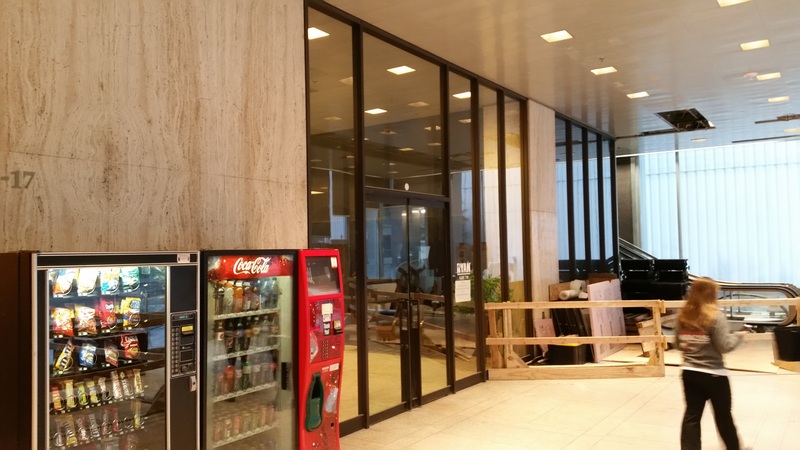 Besides energy efficiency and its location on the streetcar line, features include access to a skywalk system that links several downtown buildings. Other amenities will include automated parcel delivery service, bike storage, a business center, a club room, a fitness center and yoga room, a movie theater, premium finishes, and secured parking for each apartment unit. A rooftop deck will include a basketball court, green space, movies in the park, an outdoor kitchen, a playground, a pool and a running track. The cost of the project has nearly doubled since late 2013, when the developers named Ryan Companies US as the contractor for the then-$71 million project. Two partnerships formed by developers — Commerce Group LLC and Revive Capital Development LLC — are planning to improve vitality in central business districts throughout the country by converting historic high-rise properties into mixed-use “vertical neighborhoods” like Commerce Tower. 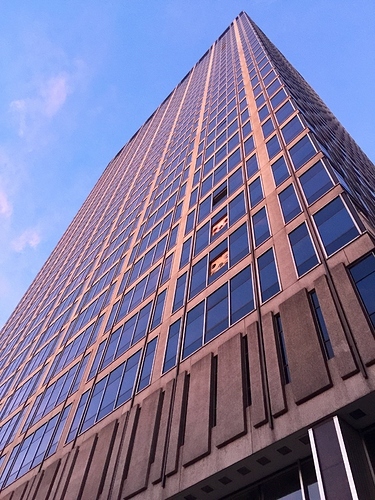 Earlier this year, Revive Capital LLC acquired the former CPI Corp. headquarters, a nine-story building at 1706 Washington Ave. in downtown St. Louis. It was built as the Monogram Building in 1912 and is on the National Register of Historic Places. The Commerce Group LLC/Revive Capital Development LLC partners include Michael Knight, who built his real estate industry foundation as a general contractor for the U.S. Department of Defense, the U.S. Department of Energy and the Bureau of Indian Affairs; Bob Berkebile, a founding principal of BNIM Architects who was instrumental in creating the U.S. Green Building Council and its LEED rating system; Roy Carver Jr., chairman of Carver Pump Co. and director of Iowa First Bancshares Corp.; and Bryce Henderson, a former senior manager with Deloitte Tax LLP. 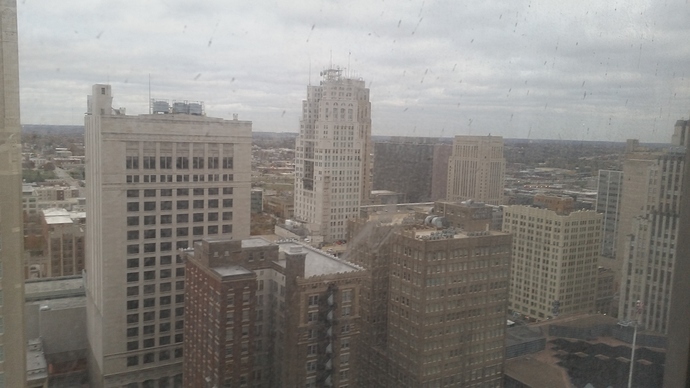 Further look at the Commerce Tower renovation. 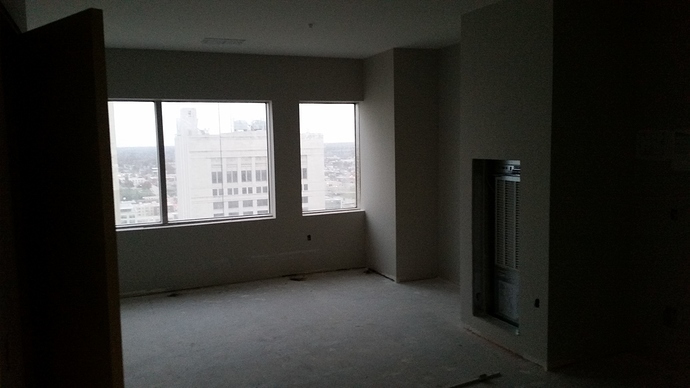 Aim to have tenants moving in by mid-January. Currently leasing. I took a hard hat tour last week. 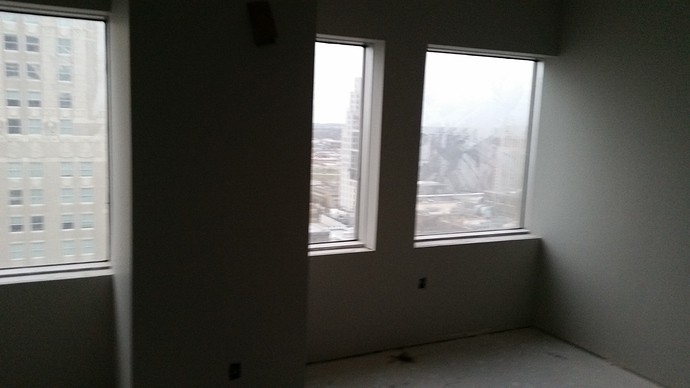 I took some lousy blurry pics of a one bedroom unit on the 28th floor. View of the living room from the kitchen. Nothing but dry wall up right now. This is on the main floor. Will be a restaurant serving breakfast, lunch, and dinner, but they wouldn’t say what restaurant. No idea if a chain, local, or new concept. It will provide room service to residents.